Join Starfish for the 10th annual Breakfast Run and Picnic on Clapham Common on Sunday 24th September 2017! Join us for this fantastic 5k/10k/15k run at the beautiful Astley Hall on Sunday 2nd October 2016. You can run, jog or walk the route – Resolution Runs are for everyone! If your New Year’s Resolution was to get more fit and active in 2016 then this is the event for you. Join us for this fantastic 5k/10k/15k run at the beautiful Heaton Park on Sunday 6th March 2016. You can run, jog or walk the route – Resolution Runs are for everyone! If your New Year’s Resolution was to get more fit and active in 2016 then this is the event for you. 33rd annual race & 2nd year at great Delaware City location just 20 minutes from Wilmington! 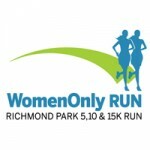 The Breast Cancer Care WomenOnly Run is a 5km, 10km and 15km road run on closed roads in the idyllic autumnal setting of London’s Richmond Park. The course winds its way through the Richmond Park’s beautiful landscape of ponds, gardens and grasslands set among ancient woodland, keeping to completely traffic-free, tarmac roads at all times. Join us for this fabulous morning run in the beautiful Victoria Park, Warrington on 5th October 2014. Whether you’re a novice runner or a seasoned runner, you can walk, jog or run the distance. The resolution run is for you. Choose your distance – 5k, 10k or 15k – through beautiful Mote Park in Maidstone. Now in its 3rd year! Take part in a 15K running event at Hyde Park – with over 800 other runners – in aid of the Stroke Association. There will also be 5K and 10K events on this Sunday morning (see other listings, or click the visit website link for more info) event which is limited to 1,000 participants. Stunning surrounds, superb course. Irchester Country Park will once again welcome 400 + runners for the Wellingborough series. Our 5th annual Joker’s Wild Run makes a bold move to March. The race takes on a new name and becomes a preparation race for the wildly popular Go St. Louis Marathon. The iROC™ Race in 2009 was a big success! There was a very enthusiastic and positive response from competitors for the event with 97% of competitors saying they would recommend it to their friends, and 94% of competitors rating the event as ‘excellent/very good’.